It's not you mom's hat. Mom's hat collection is designed to reflect fun things that may interest her. 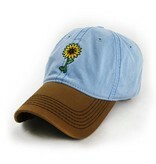 The Sunflowers Make Me Smile Everyday Ball Cap (not a trucker hat), was designed by our staff in New Bern, NC. A mineral wash is provided to the fabric during manufacturing to soften and give it a worn-in feel. The hat is adjustable with velcro™. The bill has a natural bend. The crown is sky blue and the bill is brown. 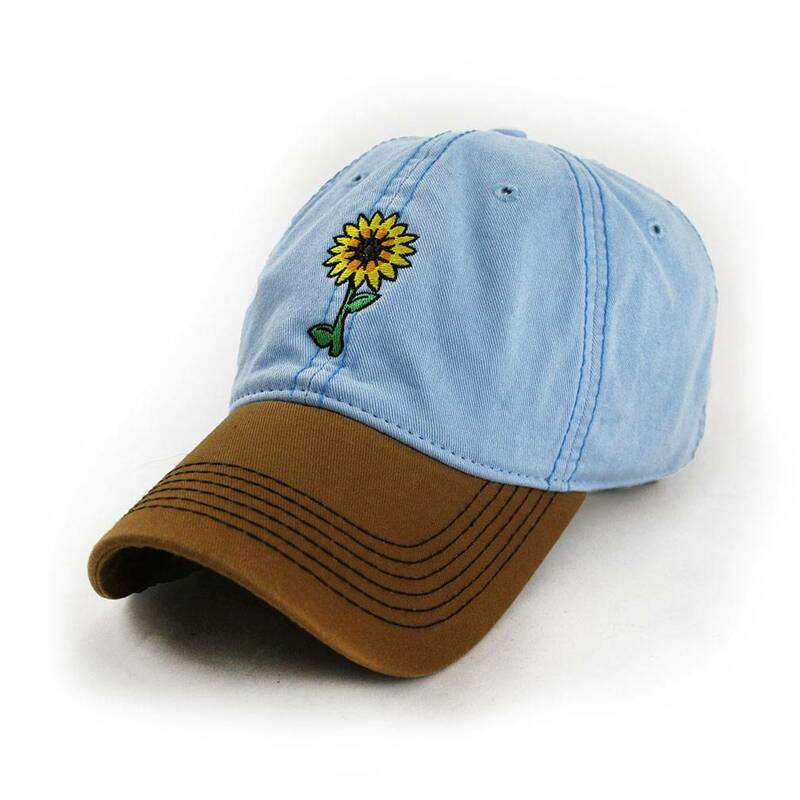 A really cool embroidery of sunflower seeds are located on the back of the hat. This is not a trucker hat but a 100% cotton twill ball cap... just like mom wears. Make sure you are wearing a Revival™ hat.